AS things move along, the need for greater transparency and disclosure on what exactly the government is signing onto is growing. 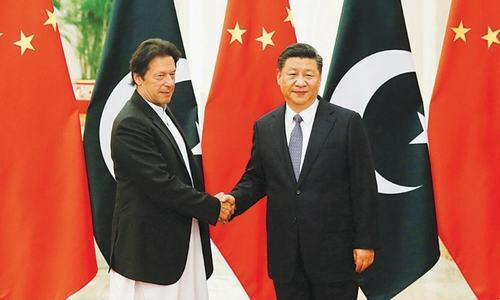 The eighth Joint Cooperation Committee meeting on CPEC between Pakistani and Chinese government delegations was held in December, but to this day, there is very little known about the details of what the government of Pakistan has consented to do. Read more: What do Pakistan and China want from CPEC going forward? In addition, we have seen $2bn land in the State Bank as a ‘deposit’, following a visit to Saudi Arabia by the prime minister accompanied by a high-powered ministerial entourage, with promises of another billion to come soon, and a ‘deferred payment’ facility to underwrite a portion of the country’s oil imports. Yet, not a word has been uttered about what has been promised in return. Likewise, we are now hearing of another $3bn worth of ‘deposits’ to be made by the UAE, but once again, there is not a word about what is expected in return. No details have even been released about the terms on which these ‘deposits’ have come, whether on their tenure or return. Now we are hearing of a massive investment from Saudi Arabia to be made in an ‘oil city’ in Gwadar. What exactly is going on here, many wish to ask. Foreign investment is welcome in Pakistan, but in most cases it comes under a policy framework that is transparently known, has been debated in cabinet at least, and with the terms available to all. Some sort of a bilateral framework between two countries exclusively is also fine, but it should be known to all what exactly is being built, what concessions are being granted, how Pakistan’s long-term economic interests are being served, and so on. Foreign investment that creates jobs, transfers skills and imparts dynamism to Pakistan’s economy and spurs its markets is welcome. But investment that seeks to create a transshipment enclave, or provides exclusive access rights and privileges to one group of investors only is of debatable merit. When government ministers are asked for details, they refuse to entertain the request on the grounds that the other party — whether China or Saudi Arabia — prefers discretion in this matter. 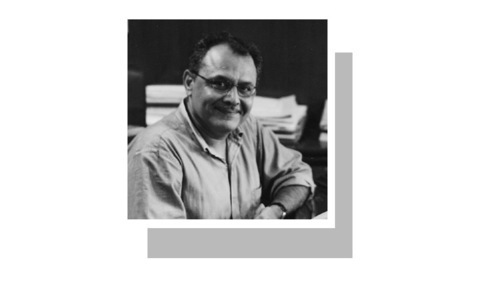 Discretion is fine and has its place in deal-making of the sort that is under way between the states, but since sprawling Pakistani interests are involved, transparency and disclosure requirements must not be jettisoned. The feeling right now appears to be that the government, in its desperation to avoid the stringent terms of an IMF programme, is signing every dotted line that is placed before it by foreign powers such as China and Saudi Arabia, in return for a bailout that will last a few months at best. This is not the kind of policymaking that the PTI promised the country in the run-up to the election. What do Pakistan and China want from CPEC going forward? Was 2018 the most uncertain year our economy saw in the last five years? Great questions all citizens must ask and demand to know of their governments when entering into any deal, or when accepting 'investment' capital. True, anyone in policy circle ready to act? Outstanding Editorial reminding the Govt.You can't have your Cake and eat it too.The PM's quick successive visits abroad and the various dignitaries visiting Pakistan.Doubtful stand on IMFand Billions being negotiated for the country in shrouded secrecy without transparency as rightfully mentioned in the Editorial has certainly created apprehensions in the minds of the people of Pakistan. Neither China nor Saudis or Emirates are here to help us. But they were here to exploit us with the loans/grants to achieve there economic and political goals. Beware!!!! When in power they behave differently and when not in power they are exactly opposite that is why they are called politician. Transparency is important. Even it is more important to hold threadbare discussion in parliament and obtain sanction before entering into any financial contract. Previouly many international contracts were signed and hushed up. These were not in the national interest and cost the country heavly. Once the contract even with the vested interest signed, the same cannot be taken back. So it is appropriate to place all financial contract in parliament and media for public debate. In competencies committed during the tenure of one's government are best hidden in his term in office. The noises made about maintaining secrecy are quite satisfying to the ears of those in power as they can ignore the same and get on doing whatever pleases them most. It is only when they are not in power that they become accountable for any deeds or misdeeds accomplished during the tenure of their office. This is due to US pressure of IMF.Not to engage with Pakistan or on its terms. Ever heard of interest? The deposits are on interest rate of 3.18% per annum. That's it. What more conditions are there for any loan Pakistan has ever achieved? World works on money and Saudis and Emiratis are getting good returns on their deposits. That's all there is to it. No conspiracy theory here. That's the problem with the Pakistani decision makers. When they sign the projects/deals/agreements with the other countries, they keep it secret and claim that they have done a wonderful thing for the citizens of this country. But once the deal unveil, then the true picture of our statesman comes in front of us. 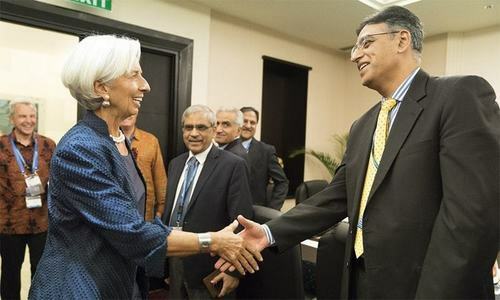 @shahzad naeem, "This is due to US pressure of IMF.Not to engage with Pakistan or on its terms." when have you known a lender to loan on recipient's term? Do you get to dictate terms to the bank when you go for a loan? First of all the Government must find out reason for a large number of foreign companies leaving Pakistan in the last few years. They should also find out why large foreign companies on Pakistan Stock Exchange have delisted or are considering to do so. This will guide them what they should change to invite foreign investors in Pakistan. This seems to be the counter balancing strategy to limit China’s sole influence on CPEC route, in a way good for both China and Pakistan and other stakeholders of the region and rest of the world.